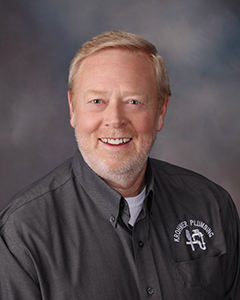 Chris has been actively involved in the management of Krohmer Plumbing since it’s opening in 1984. 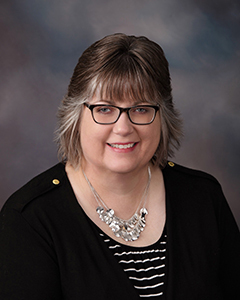 She is involved in the daily operations of Krohmer Plumbing, oversees the accounting department, showroom, residential estimating, and residential construction and remodeling. Chris is a licensed Journeyman Plumber in South Dakota. Nick has been working at Krohmer Plumbing since 1990. In 2002, after completing his business degree at the University of South Dakota, he came back to work at the family business. Nick has been actively involved in estimating and project management. 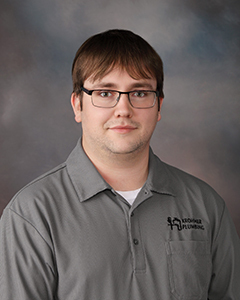 Nick is a licensed Master Plumber in the states of South Dakota, Iowa, Minnesota, and North Dakota. He also holds a Journeyman Hydronics license with the state of Iowa. 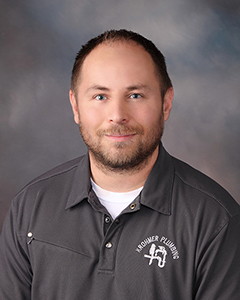 Ben has been working at Krohmer Plumbing since 2000. After attending USD Ben returned to Mitchell to work in the family business. 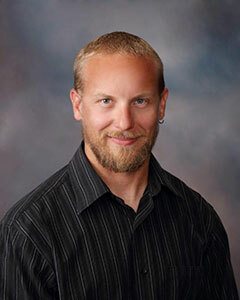 Ben is a licensed Master Plumber in the state of South Dakota, Minnesota & North Dakota. 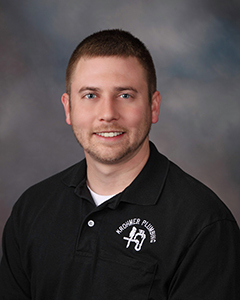 He also holds Journeyman Plumbing & Journeyman Hydronics licenses with the state of Iowa. He is a Certified Medical Gas Installer, and an ABPA Certified Backflow Prevention Assembly Tester. 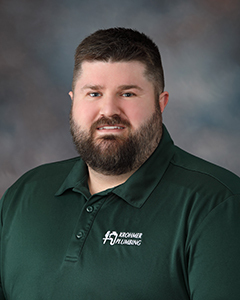 Drew has been working at Krohmer Plumbing since 2005. In 2011, after receiving his Construction Management Degree at Southeast Technical Institute, he came back to work at the family business. Drew is involved in the project management of commercial projects. Drew is a licensed Journeyman Plumber in South Dakota. 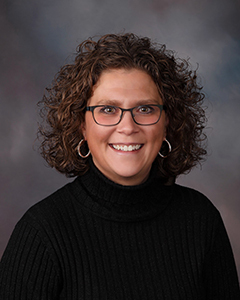 Dana started working at Krohmer Plumbing in 1992. He worked on residential projects for several years, and then moved into commercial projects. In 2017, Dana was promoted to Estimator. Dana is a licensed Journeyman Plumber in South Dakota. Shawna Stach started working at Krohmer Plumbing in 2002 after graduating with a degree in Architectural Drafting and Building Construction. She began her employment as a showroom consultant helping with new construction, remodels, and sales. Shawna was promoted to a residential estimator in 2012, and still continues to handle the showroom consultations. 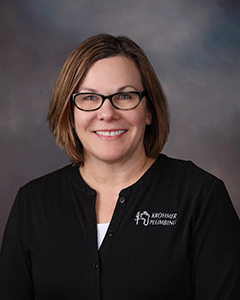 Julie moved to Mitchell in 2003 and began working for Krohmer Plumbing as a part time employee in 2004. She started in Accounts Payable full time in 2005, and in January 2012, Julie was promoted to Business Manager. Ken has been involved in the plumbing industry since 1972. 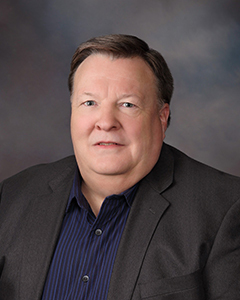 He has been involved with estimating & project management since 1981. 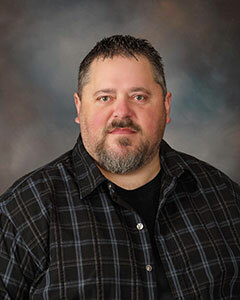 Ken attended Western Iowa Tech for HVAC, Refrigeration, & Pipe Welding. He holds licenses as a Master Plumber, Master Refrigeration, Master Hydronics, and Master HVAC. Prior to joining Krohmer Plumbing, Ken has been the Vice President of two other companies, and owned his own plumbing & heating business. Marshall started working at Krohmer Plumbing in December 2004. After learning the trade and earning his Journeyman license in South Dakota, he was promoted to Estimator in the Sioux Falls office in 2013. Zeb has worked in the plumbing and construction industries since 1998. After working in Colorado and Rapid City, he moved back to Mitchell and began his career with Krohmer Plumbing in 2009 in the warehouse. In February 2016, Zeb was promoted to Project Manager. Tanner started working at Krohmer Plumbing in 2013. After working in the field doing new construction for three years he moved into service, and was promoted to Estimator in 2018. 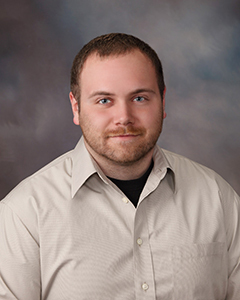 Tanner is a licensed Journeyman Plumber in South Dakota.